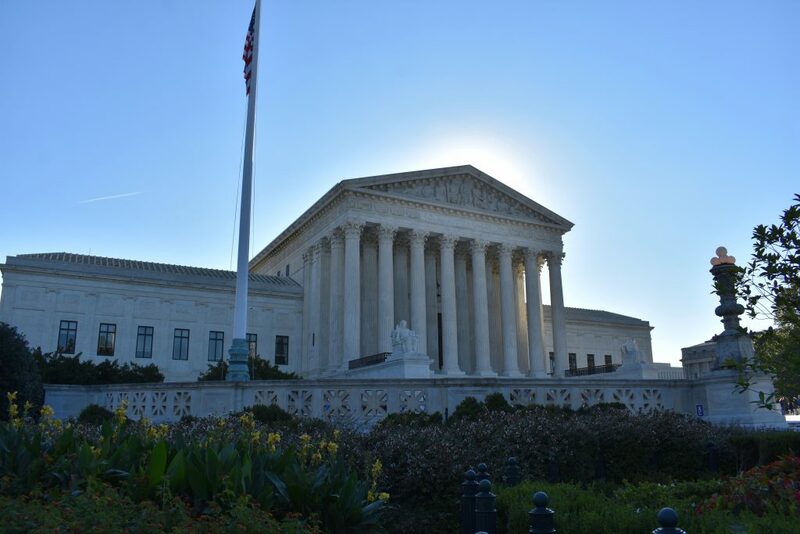 One of the things to see on your trip to Washington, DC is the Supreme Court Building. 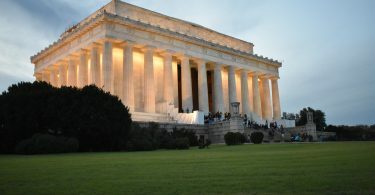 Located at the far east end of the National Mall across from the Capitol building, the Supreme Court is open to visitors. 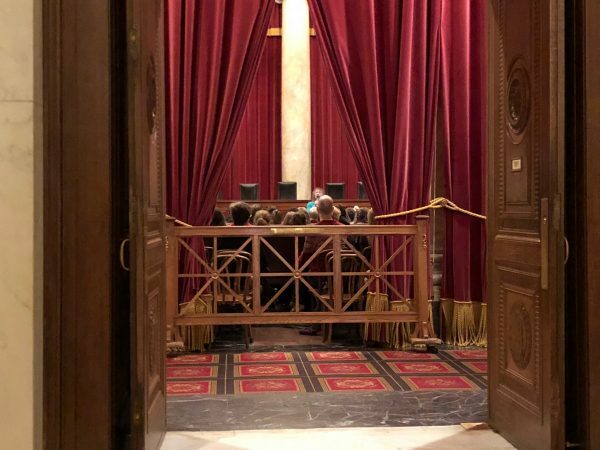 Tours start on either side of the stairs and you can actually watch the court in action if the Justices are in session. We love walking inside these old buildings. Look at this beautiful ceiling. As you enter the building, expect to go through a security check. 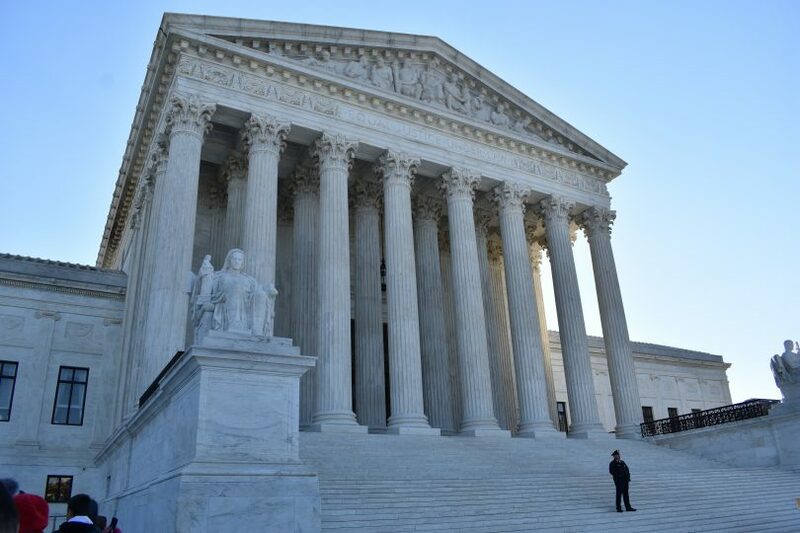 At the Supreme Court, you’ll go through a metal detector and empty your pockets. They’ll also search your bag, but most items aren’t restricted except for obvious things like firearms. You can take you camera inside and take pictures except in the court chamber. There was a lecture going on, so we got to take a quick peek into the courtroom. Once inside there are a few places to see. 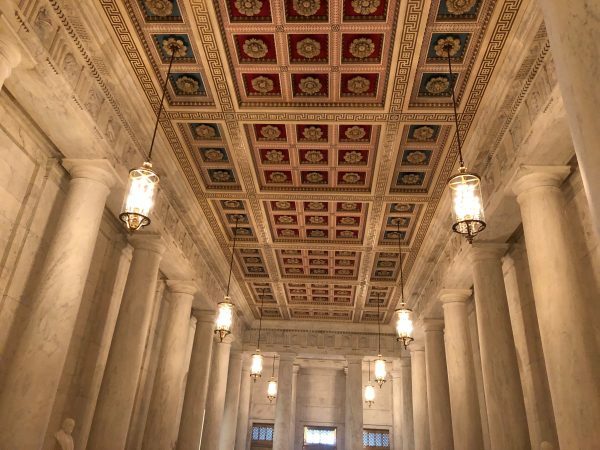 Wander around the lower level of the courthouse to see portraits of many of the past justices. 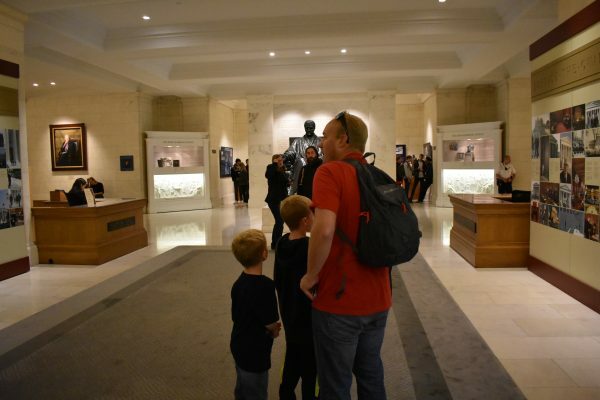 When we visited there was a special exhibit for the first female Supreme Court Justice, Sandra Day O’Connor. 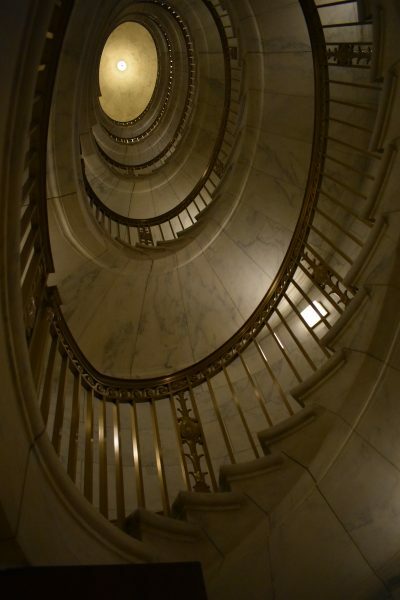 There is also a spiral staircase you can look at, but there is no public access to walk it. One of the better giftshops on the mall is also located downstairs. There are a few different exhibits to see. The Spiral Staircase is amazing. If you walk upstairs you can look into the room where cases are heard. On some days you can watch the action, but we were only able to glimpse the room through a partially closed curtain. There are also court room lectures at certain times of the day when the court is not in session. The Supreme Court Building is definitely worth a stop. That’s about all there is to do at the Supreme Court. Plan about 30 minutes to get through security and walk around. If court is in session, plan on standing in line to see the court.